Official meeting will be on 5th period of Tuesday. In addition, Project activity will also take place on Tuesday 4th period. We will go dinner together after the meeting. 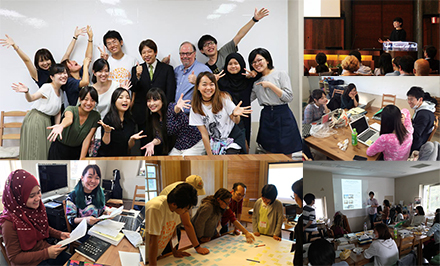 Join us on opportunities to go on overseas trips to attend workshops and academic conferences. This year we will be visiting Germany in July, the US in September, Austria & Canada in October. After reading through this syllabus thoroughly, please submit the entry assignment described below via email by March 23rd.